Last month, in the first part of this three-part series, I compared chapter 11 with other chapters and discussed when chapter 11 should be utilized, how the chapter 11 attorney works, and what happens upon filing. This month will continue with a discussion of some initial procedural issues, the debtor’s chapter 11 obligations, and chapter 11 motions practice. I will conclude the series next month with a discussion of claims and confirmation of the plan. Unlike other types of bankruptcies, in a chapter 11 the debtor acts as its own trustee and remains in possession of the business. A debtor in possession, frequently referred to as a “DIP,” has all of the power and authority that a trustee has in other chapters. The DIP operates the business in generally the same manner as prior to filing. If the DIP or its officers mismanage the corporate affairs or commit fraud, a creditor or the court may seek to appoint an operating trustee to run the business. The automatic stay gives the debtor tremendous protection from creditor action. However, a secured creditor may attempt to seek relief from the automatic stay by bringing a motion if the creditor does not have “adequate protection” of its interest in the collateral. In order to succeed in lifting the stay, the creditor must demonstrate that there is no equity in the property and that the property is not essential to the debtor’s reorganization. There are several other forms of adequate protection which the debtor may use to prevent the stay from being lifted. In addition to proving that there is an “equity cushion” as discussed above, the debtor may provide adequate protection by making post-petition payments to the creditor to make up for the lack of equity. Adequate protection can also be provided by giving the creditor an additional lien or a replacement lien on other property. This is a term which applies to cash or any other property of the debtor which is easily converted to cash. Property such as bank accounts, securities, accounts receivable, rental income, and cash equivalents constitute cash collateral. Because these assets can be very easily disposed of, their use or sale is subject to strict rules. The Debtor in Possession may not use or sell cash collateral if it is subject to a lien, unless the secured creditor consents or the court approves. Examples of pre-petition situations which give rise to a post-petition lien on cash collateral include filed IRS liens or NYS tax liens; mortgage provisions containing a clause that the mortgagee has a lien on rents; and security agreements and UCC-1 statements that give the secured party a lien on bank accounts and accounts receivable. The debtor’s inability to use cash collateral can be fatal if it is caught in a “cash crunch.” Virtually all debtors require operating funds to continue operating their business and pay post-petition expenses. Failure to have operating funds can be the death knell for any company. Therefore, immediate action is needed to obtain permission to use cash collateral. Sometimes the debtor’s attorney will approach the secured creditor or taxing authority prior to filing the bankruptcy petition to negotiate a stipulation permitting the debtor to use cash collateral. The secured creditor will look to receive some kind of adequate protection on its security interest. This sometimes can only be done by granting the creditor a super-priority lien on all assets of the estate, which means that the creditor will be paid even before the administrative expenses and post-petition debts are paid. In effect, a super priority lien takes priority over all other claims, including some prior liens. In the event the secured creditor is not willing to stipulate to the use of cash collateral, the debtor will probably need to bring an emergency first day order to show cause seeking interim approval to use cash collateral. Businesses filing chapter 11 often find themselves without operating funds until the court issues a cash collateral order. Accordingly, the bankruptcy court will act quickly to entertain a debtor’s application to use cash collateral. Major financing after the petition is filed requires court approval. Usually, the lender will insist on receiving a “super-priority lien.” Although super-priority liens are only permitted by the court when the debtor is unable to obtain financing without them, the super-priority lien is the mechanism of the Bankruptcy Code to induce banks into lending money to businesses in bankruptcy. The Debtor in Possession usually continues to operate the business without interference from the court. However, the DIP must get court approval to obtain credit, assume or reject a lease, sell assets outside of the ordinary course of business, or employ any professional such as an attorney, accountant, or appraiser. The DIP must pay quarterly filing fees and maintain insurance on all assets as well as liability insurance. Bankruptcy rules require the DIP to immediately set up new bank accounts. This is usually done on the day of filing. In most cases, at least three accounts are required: an operating account, a payroll account, and a tax trust fund account. The DIP has an especially important obligation to timely pay all post-petition taxes, and must also stay current with other post-petition debt. Failure to do so can result in dismissal of the chapter 11 petition and lifting of the automatic stay. 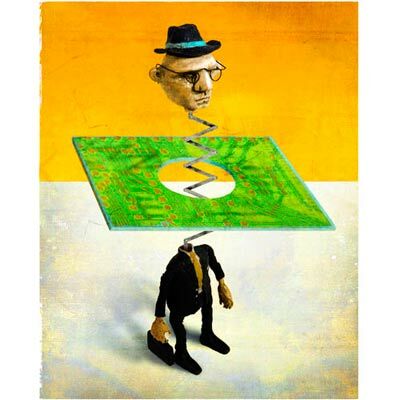 Once a business files for chapter 11 relief, its finances become subject to strict scrutiny. The Debtor in Possession must file monthly operating reports with the court which include a statement of income and expenses for the period, a statement of post-petition tax and administration expenses and liabilities, a summary of cash receipts and disbursements, a summary of the payroll account, a summary of the tax trust fund account, copies of the DIP bank account statements, and verification of federal tax deposits. Many DIP’s utilize the services of an accountant to prepare the reports. Employment of the accountant and payment of the accountant’s fees must be approved by the court in advance. In addition to coming up with a plan to reorganize its debt structure, the Debtor in Possession is expected to streamline operations and make the company more profitable. This may involve reducing expenses, laying off employees, re-capitalizing debt, reducing salaries, re-negotiating or rejecting leases, and changing day-to-day business operations. The United States Trustee’s office is a division of the U.S. Department of Justice. It is charged with the responsibility of supervising the administration of bankruptcy estates and making sure that Debtors in Possession fulfill their obligations. The U.S. Trustee should not be confused with the private trustees appointed by the court to administrate chapter 7 and chapter 13 cases. The failure of a DIP to perform its obligations and duties may result in the U.S. Trustee bringing a motion to appoint an operating trustee, or seeking to convert the case to chapter 7, or dismiss it entirely. The U.S. Trustee also reviews all proposed orders prior to submission to the judge. In addition, the U.S. Trustee reviews the DIP’s operating reports. If it appears that the DIP cannot successfully emerge from bankruptcy, the U.S. Trustee will bring a motion to convert or dismiss. The U.S. Trustee also has the obligation of appointing an unsecured creditors’ committee to represent the interests of that entire class of creditors. It does this by sending a notice to the top twenty largest unsecured creditors who are not insiders, requesting volunteers to serve on the committee. The purpose of the committee is to investigate the debtor and monitor the operation of its business. With most smaller chapter 11 bankruptcies, the unsecured creditors are usually too apathetic to become involved, and no committee gets formed. When there is a committee, they usually hire an attorney to represent the committee, whose legal fee is ultimately borne by the debtor. A chapter 11 debtor is often faced with burdensome executory contracts or leases that must be terminated or re-negotiated if the debtor’s business is to survive. The Bankruptcy Code provides that the debtor may, at its option, reject or assume almost any contract or lease under which the debtor is obligated. Although this can be done at any time up through confirmation, a motion to assume or reject a non-residential real property lease must be made within 60 days of the date the petition was filed. Rejection and re-negotiation of burdensome and unprofitable contracts and leases is sometimes a principal reason for filing a chapter 11 petition. A DIP can often re-negotiate a lease for a fraction of the DIP’s pre-petition obligation, assuming there are no personal guaranties that the lessor can pursue. All bankruptcies, including chapter 11, require a meeting of creditors. The meeting is presided over by a representative from the U.S. Trustee’s office, who questions an officer of the debtor concerning the debtor’s financial integrity, reasons why it suffered financial difficulty, and its plans to emerge from bankruptcy. With most smaller business bankruptcies, the questions tend to be pro-forma, and creditors rarely appear. Motions practice and litigation in a typical chapter 11 proceeding will include some of the following: bringing a motion to set a bar date for filing claims; bringing a motion to object to a proof of claim; filing an application to retain an attorney, accountant, or appraiser; defending a motion to lift the stay; filing an application for attorneys fees; and defending a motion which seeks to dismiss the bankruptcy or convert it to chapter 7. Also, bringing an adversary proceeding to set aside a preferential transfer; litigating the value of a secured asset; bringing a motion to use cash collateral; bringing a motion to sell assets outside the ordinary course of business; filing an order to show cause to serve a motion on reduced notice; and bringing a motion to approve the disclosure statement or set the confirmation hearing. Further, bringing a motion to assume or reject an executory contract or lease; bringing a motion to extend time to file the plan; commencing an adversary proceeding to obtain turnover of bankruptcy estate property, avoid liens, or set aside certain pre-petition transfers. All judges require regular status conferences and as well as pre-trial conferences for certain types of litigation. All motions practice in Bankruptcy Court requires appearances on the return dates. As you can see, chapter 11 representation necessitates spending a considerable amount of time in Bankruptcy Court. About the Author. Long Island Bankruptcy Attorney Craig D. Robins, Esq., is a regular columnist for the Suffolk Lawyer, the official publication of the Suffolk County Bar Association in New York. This article appeared in the December 2004 issue of the Suffolk Lawyer. Mr. Robins is a bankruptcy lawyer who has represented thousands of consumer and business clients during the past twenty years. He has offices in Medford, Commack, Woodbury and Valley Stream. (516) 496-0800. For information about filing bankruptcy on Long Island, please visit his Bankruptcy web site: http://www.BankruptcyCanHelp.com. We have now seen several straight years of rapid real estate appreciation on Long Island. With the current real estate boom, most home prices have doubled in the past six years. Buoyed by low interest rates and a hot real estate market, the mortgage industry has become incredibly competitive and has relaxed many previous requirements that have acted as impediments to former bankruptcy debtors seeking to obtain a new mortgage or refinance an existing one. You can help your prior bankruptcy client purchase their first home, or take advantage of increased equity in their existing home by helping them with refinancing. Homeowners with Bankruptcy Histories Are Often Able to Get Mortgages, Sometimes at Respectable Rates. With over a million and a half consumers filing bankruptcies each year, many mortgage companies have tapped into the lucrative market of offering mortgages to those who recently sought Chapter 7 bankruptcy protection, and even those still making payments in open Chapter 13 cases. Just a few years ago, debtors seeking to obtain mortgages under such circumstances found it difficult, if not impossible. Today, however, mortgage lenders actively solicit the profitable sub-prime market of recent home-owner debtors. A “sub-prime” mortgage is one where the borrower has a blemished credit history. Lenders, in their drive to maximize profits, have actually become quite lenient with the sub-prime market and have relaxed some previous requirements. Some lenders even specialize in providing financing to recent debtors. A former Chapter 7 filer can qualify for a mortgage one year after the bankruptcy is over. Mortgage Companies Offer Various Mortgage Programs Depending on Financial History. Although the borrower may not qualify for the best rates (known as “A” paper) if there was a recent bankruptcy filing, they may nevertheless qualify for sub-prime rates, (known as “B, “C” or “D” paper). Lenders with programs for recent debtors will typically offer something like a two-year hybrid adjustable rate mortgage in which the mortgagor has the option of converting to a more conventional mortgage with better interest rates after a two year period of time, provided that the borrower makes timely payments and keeps his new credit history clean. Even former debtors who developed additional negative credit information after their bankruptcy was concluded can qualify for financing if they have a healthy loan-to-value ratio of 70% or less. Debtors May Become Eligible for “A” Paper Mortgages Sooner Than They Think. According to some published guidelines, a former Chapter 7 debtor may be eligible for the best rate FHA mortgage just two years after the discharge if the borrower has re-established good credit or has not re-established any new credit. If more than two years have elapsed since the Chapter 7 bankruptcy was discharged and the borrower is applying for a VA mortgage, then the bankruptcy will not even be considered. If the borrower is applying for a conventional mortgage, then they will be considered for the best rate after four years, although some lenders will consider them after three years, if there is a good reason. For Chapter 13 debtors, the provisions are even better for FHA and VA mortgages. In such instances, debtors need only wait 12 months from the date of filing and may even be in an open case. Debtors Should Consider Consulting a Mortgage Broker. Ordinarily, I steer my real estate clients directly to banks. However, when it comes to borrowers who have blemished credit histories or previous bankruptcies, I sometimes suggest that they consult with a mortgage broker, who will have access to many potential lenders, and who should be keenly familiar with the various sub-prime financing issues. As a variety of lenders offer different programs to borrowers with prior bankruptcies, a mortgage broker catering to this customer base should have a good familiarity with what program might be best for a particular borrower. Savvy brokers should also be able to give tips to clients in advance about improving chances for qualifying. Chapter 13 Debtors in Open Cases Who Seek to Refinance Must Either Obtain a Court Order or Withdraw Their Case. If the borrower is still a debtor in a pending Chapter 13 case, refinancing a home will require seeking court approval of the refinance by bringing a motion. Consider discussing this issue with the Chapter 13 trustee if refinancing becomes a possibility. Alternatively, you may consider withdrawing the debtor’s petition, although you would only want to do this if the conditional mortgage commitment permits it, and the debtor can handle the unsecured debt after the case is dismissed. Also remember that the debtor loses the protection of the bankruptcy stay once the case is dismissed. Therefore, you should only withdraw a case if it appears absolute that all closing conditions have been met, and the closing will definitely occur. 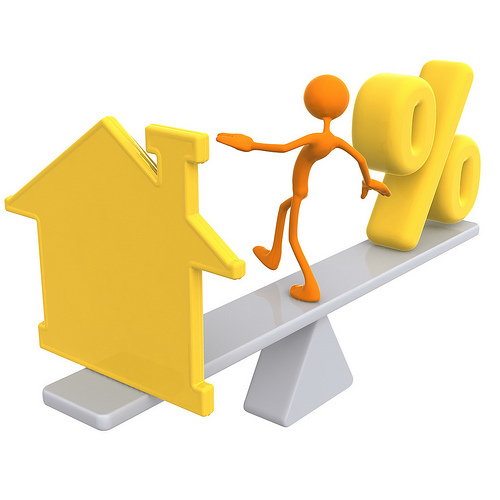 Consumers Should be Cautious with Adjustable Rate Mortgages. Previous bankruptcy filers may have no choice other than obtaining an adjustable rate mortgage hybrid. At some point, the monthly payments for all adjustable rate mortgages increase. As your client previously got into a financial bind resulting in the prior bankruptcy filing, it is important that you advise them about preparing realistic future budget projections so that they do not end up in a future financial bind when the rate increases. Many Abstract Companies Do Not Understand How Prior Bankruptcies Discharge Debts. Several times a year I deal with a lender or abstract company who insists, incorrectly, that certain discharged debts actually remain for various reasons. This usually happens when the client refinances without the aid of legal representation or uses an attorney who is unfamiliar with bankruptcy law, and I get a frantic call from the client while they are sitting at a closing table. In-house title examiners at abstract companies are notorious for their lack of knowledge about the implications of a bankruptcy filing. You should persuade former bankruptcy clients that it is advisable to utilize counsel for all real estate financing transactions. Then, if the lender’s abstract company raises a bankruptcy-related problem, insist on speaking directly with underwriting title company’s clearance department or legal department to clear up any bankruptcy-related title exceptions. Practice Pointer for Helping Debtors with Mortgages and Re-financing: Be aware that financing is often available, advise your client of the options, and suggest that your client retains legal counsel for real estate transactions. About the Author. Long Island Bankruptcy Attorney Craig D. Robins, Esq., is a frequent columnist for the Attorney of Nassau, published in Nassau County New York for members of the bar. This article appeared in the December 2004 issue of the Attorney of Nassau. Mr. Robins is a bankruptcy lawyer who has represented thousands of consumer and business clients during the past twenty years. He has offices in Medford, Commack, Woodbury and Valley Stream. (516) 496-0800. For information about filing bankruptcy on Long Island, please visit his Bankruptcy web site: http://www.BankruptcyCanHelp.com.